The two-handed backhand has become the norm these days. 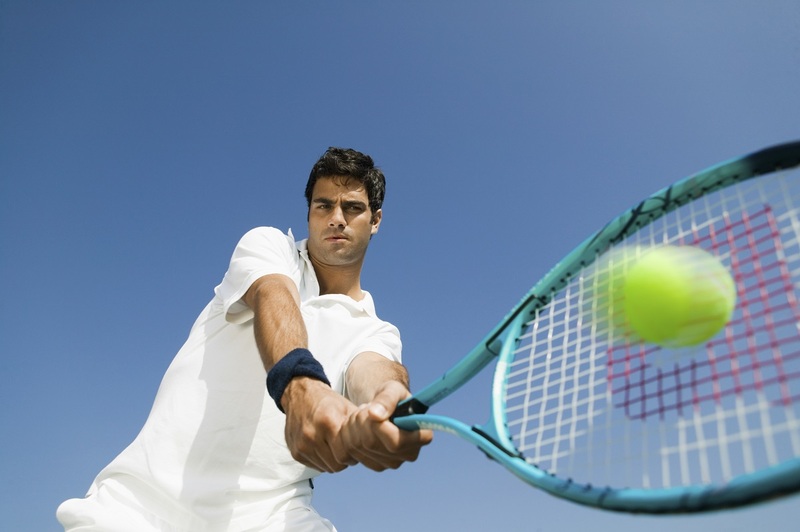 It is much easier to hit a two-handed backhand than a one-handed backhand when a player first learns how to play. It also results in a stronger shot for most players. The majority of tennis professionals will start players with two hands because of this. It is important to remember that your off hand (non-dominant hand) should be doing the same thing on your backhand that your dominant hand does on your forehand. A right-hander should think of hitting their backhand with a left-handed forehand swing, using their right hand to help (the opposite for a left-hander). The players with the best two-handed backhands can hit a one-handed forehand off of their backhand side very well (Andy Murray, Sloane Stephens, for instance). Your dominant hand and arm will want to take over on the two-handed backhand but work on emphasizing the off hand during the swing. This will allow you to execute a mirror image of your forehand, resulting in a more consistent and powerful swing.